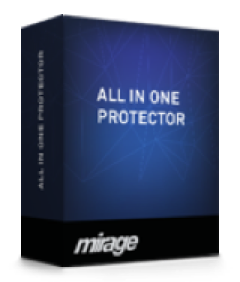 This tutorial presents an easy way of learning how to use All-In-One Protector. It is designed for authors, technical writers, documentation specialists, developers, and anyone else who wants to provide copy protected files. While completing these lessons, you will learn how to develop a project, to deploy the project and to use advanced features like Web Activation or integration into online shops. Part I gives you a foundation for using All-In-One Protector features, including using styles and creating links. Part II provides hands-on experience of using additional features like menus, online shop integration or using the Activation Server. The Online Tutorial is also available as a PDF document. Copyright © Mirage Computer Systems GmbH. All rights reserved. Information in this document is subject to change without notice. The software described in this document is furnished under a license agreement or non-disclosure agreement. The software may be used or copied only in accordance with the terms of those agreements. This documentation and the accompanying material is for informational purpose only and is property of Mirage Computer Systems GmbH, Aulendorf. Information in this document is subject to change without notice. The names of companies, products, people, characters, and/or data mentioned herein are fictitious and are in no way intended to represent any real individual, company, product, or event, unless otherwise noted. No part of this publication may be reproduced, stored in a retrieval system, or transmitted in any form or any means electronic or mechanical, including photocopying and recording for any purpose other than the purchaser’s personal use without the written permission of Mirage Computer Systems. All products and company names mentioned herein may be the trademarks of their respective owners.